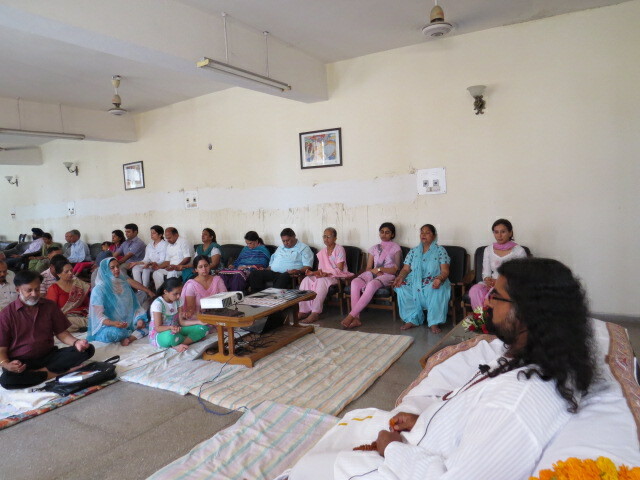 Once again the Buddha Purnima brought experiences unexperienced till now- Meditation with Mohanji in Chandigarh. After almost two years of his first visit here. Things started from scratch, once again. 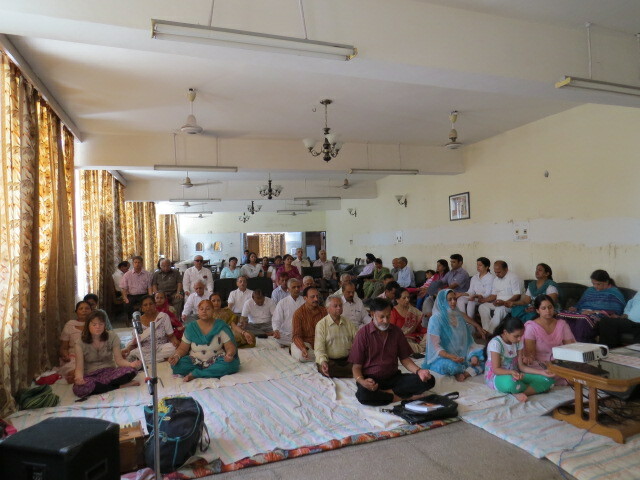 In 2011, Mohanji had first visited the tricity and we had held a meditation in Panchkula. 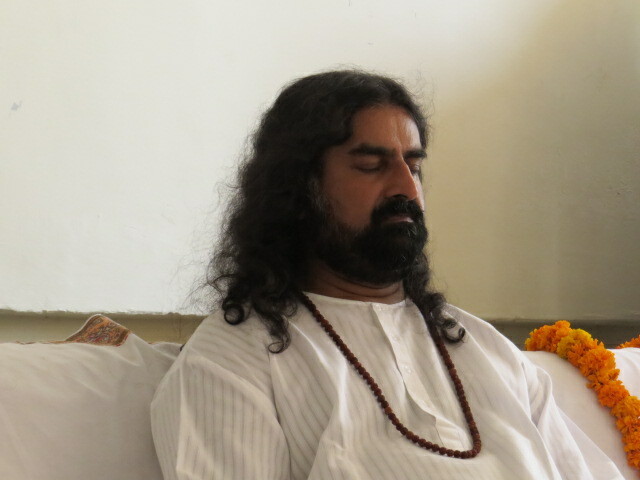 At that time there was a certain momentum since I was already holding meditation sessions in an orphanage called Aashiana. 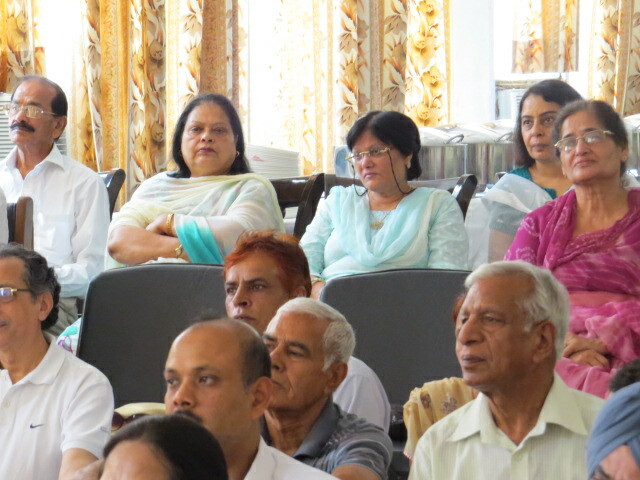 Although there were no initiates in Chandigarh, yet the Power of Purity was there. So Mohanji graced us. This time there was nothing. 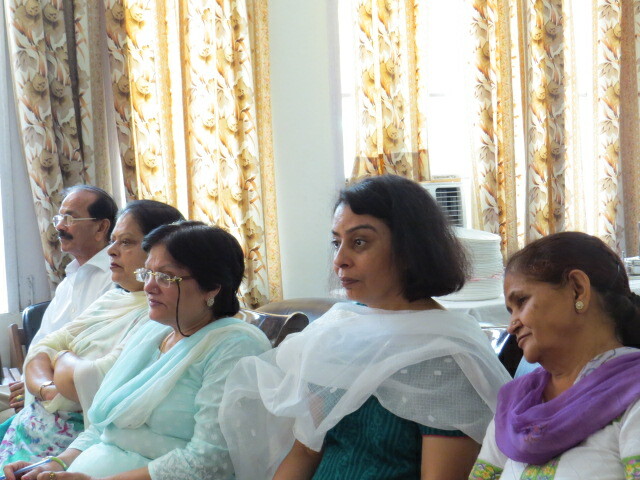 I had lost contact with most of the people who came last time, the sessions in the orphanage had stopped and all in all, Chandigarh was a sleepy city true to its reputation. But there were one or two curious cases. One Mr. Menon who couldn’t ever have travelled to Delhi, but had a strong longing to meet the Master ever since he had read an article about him in Life Positive magazine. 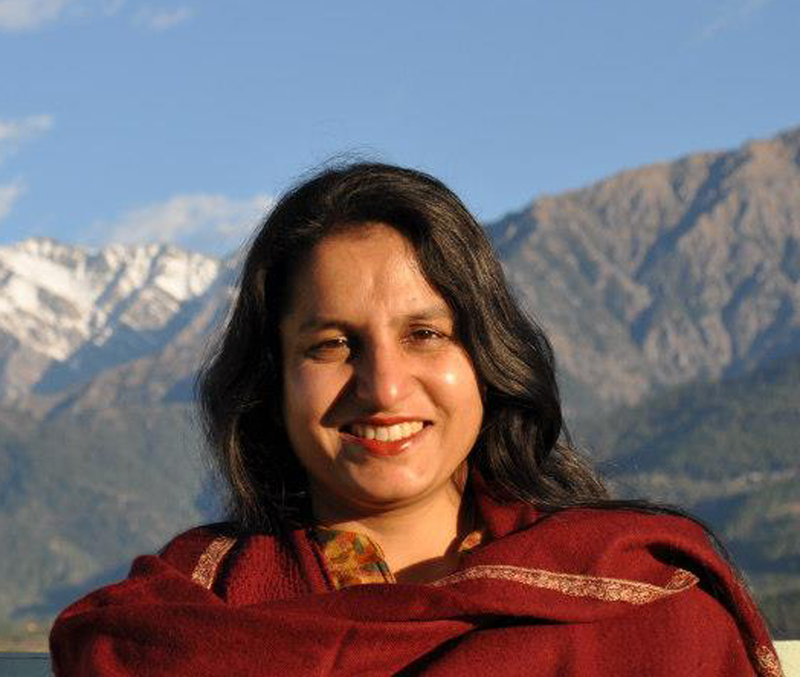 Another Puneeta, who, similarly unequipped to travel herself, was intensely pulling the Master from her soul call. 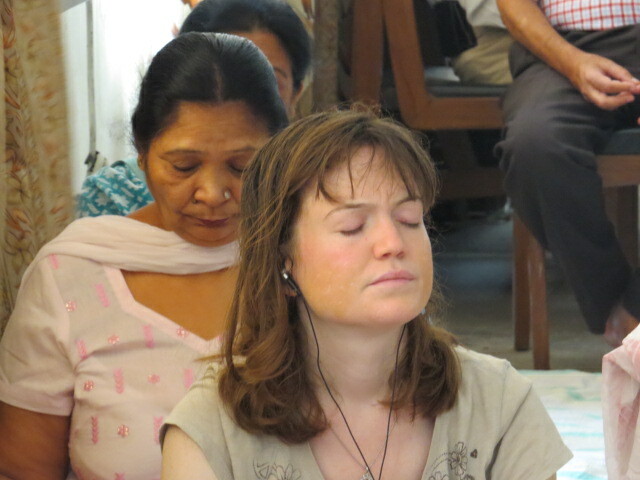 Perhaps some others whose ‘sadhana’ had brought them to this point to experience the living presence of a Master. 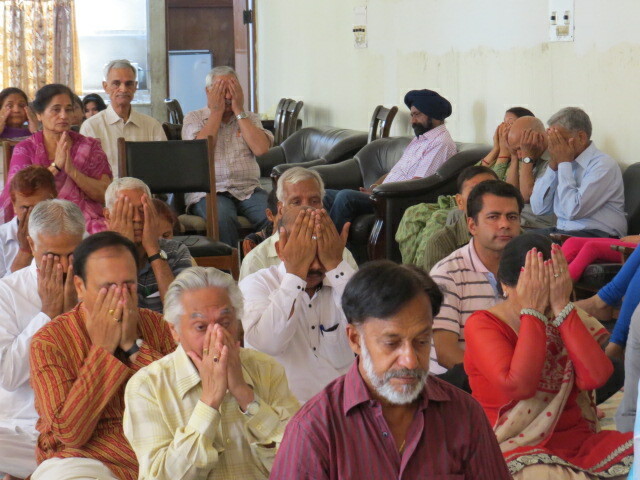 Anyhow, the idea of a meditation session in Chandigarh was conceived but we had our doubts. Shashank genuinely questioned if we needed to do a reality check. Whether it was even practical to bring Mohanji to Chandigarh for a handful of people. Wouldn’t it be a waste of his time? For once, my stubborn streak came handy for something constructive, and we started looking for a venue. I had my fingers crossed, hoping that at least 20-30 persons should come. Made arrangements for 50-60 and finally had over 70 persons come for the meditation, 90% attending Power of Purity for the first time. 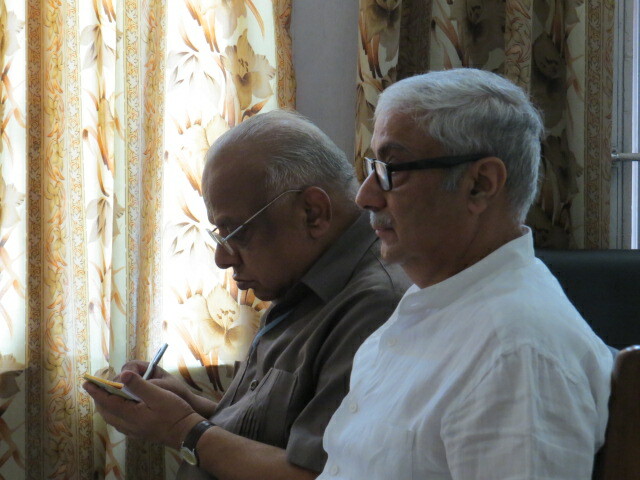 The session was amazingly beautiful, as it was bound to be with Mohanji. I didn’t have to lift a finger, as all the work was done by someone or the other, somehow or the other. I simply had to bring people together. Eg My father+invitations. Mr Duggal+venue & mess arrangements. Smriti+Venue decorations. Puneeta+ Mohanji’s room setting, Mr M.M. Malhotra & Vishal Ghai+ pick-n-drop of some guests, Leena didi + packing up, Beating my own tamas+ informing my yoga class. 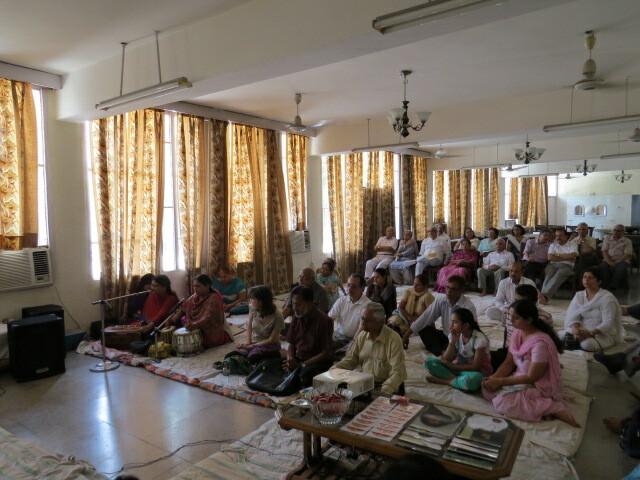 A day before the meditation one of the invitees, a classical singer and music teacher, “Vandana ma’am” called up and offered a bhajan session. So today we had this beautiful and amazing session in a beautiful, green NITTTR campus in Chandigarh. 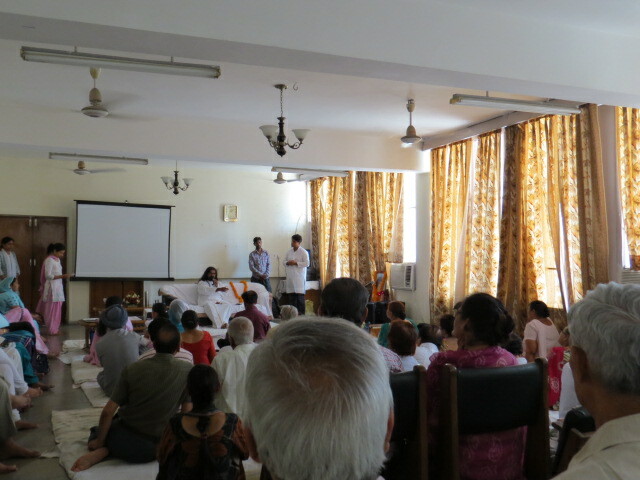 The meditation, Q&A and Shaktipat were followed by two beautifully sung live bhajans with complete music and emotion. (I, who frown at any display of emotion was crying openly by the time they finished singing ‘Rudrashtakam’). While most of the people had their lunch, Mohanji declined to eat anything, giving personal guidance to some, instead. My day was made when he went back to the hotel room and had the fruits Puneeta and I had bought for him. Thus went Mohanji’s second visit ever to the City Beautiful. Some new experiences and some old memories revisited. Mohanji’s arrived on this physical plane on 23 Feb. Every year, Mohanji would like to visit Shirdi. Last two years, because of his extremely busy schedules, it was not possible for him to physically reach there. But, this year, right after Mahakumbh, via Shani and Dattatreya temple, Mohanji reached Shirdi on 22nd Feb 2013. 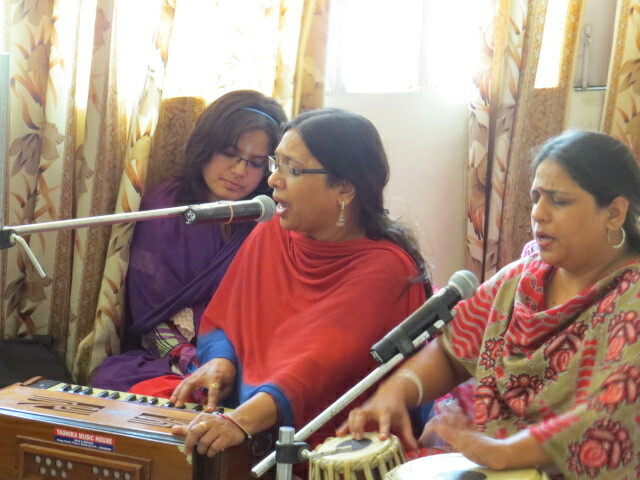 Mohanji, Deepali, Yamini, Bindu, Shreya, Aparna, and Amita traveled together from Pune to Shirdi on 22nd morning. Darsan at Shani Shinganpur was a different experience. Shani Shingnapur is temple of Shani, the Saturn, one of the Navagrahas. It is said that, the grace of Lord Shani is is so powerful here that, no one is allowed to have doors to house and shops. If someone tries to steal anything, some punishment will happen to thief before he/she crosses the boundaries of the village. Another town Devgad, has Datta Mandir complex. All decided to have lunch under a tree. 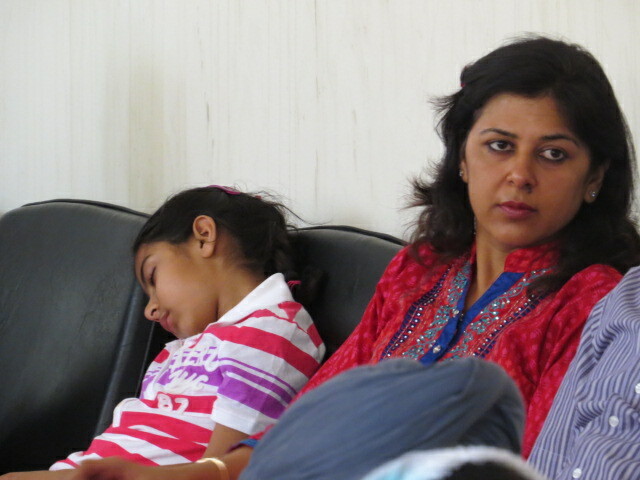 The sumptuous lunch was prepared by Deepali’s sister Dr. Mrs. Jyothi. The touch of love and devotion was so obvious in her preparations. While we assembled to eat, four dogs came from nowhere and partook in the meal. One dog was brown colored, one white, one black, beige and white and last one was lame and off-white colored. And as Mohanji washed his hands after food at the tap, a lame dog came running from a distance and started lapping up the water!. He drank the water that Mohanji used to wash his hands! After drinking water, he went straight to a temple nearby and came back and sat near us. Mohanji told Deepali to give him some food. He said “He will not eat until food reaches his mouth. This is a saint.” Just like Mohanji said, when Bindu and Deepali took the food to him, he consumed it, as if doing us a favor. Mohanji called him Ashtavakra as his body was crooked. When the dog was satisfied with food, he politely pushed the plate away. This was a beautiful experience. A saint in a dog’s body who needs no food and will have it only if delivered at mouth’s reach and eating it only for us, was indeed a new experience for all of us. His respect for Mohanji was so obvious as he drank all the water that touched Mohanji’s hands, as he washed his hands after the meal. All of us know the significance of Dogs in the Datta Tradition. Four dogs – four vedas are always around Datta and Datta Gurus. This incidence reminded the four dogs who protected the Kailash group who traveled with Mohanji in 2012. All in the Kailsh group could not walk together during 3 days of Kailash parikrama. They were scattered. But, at the end of Parikrama, everyone realized that these 4 dogs were always with everyone! Amazing! Dogs are always depicted in any picture of Lord Dattatreya. They represent 4 vedas. Recently, when Shashank in Gurgaon, was doing food seva, also had 4 dogs who remained there watching peacefully the whole food seva happening. On 22nd evening Mohanji had darsan of Baba. Everyone attended the night arathi on 22nd and morning and the evening arathi on 23rd. The lunch at the Sai’s Prasad hall was excellent. We also visited Sakuri – the abode of Upasani Maharaj as well as Khandooba temple. Those who have read Shirdi Sai Satcharitra, surely know about Upasani Maharaj and Khandooba temple. Thus, we had a fulfilling trip and an excellent birthday of Mohanji. We left for Dattatapovan, Mohanji’s ashram on 24th. After having darshan at Ranjangaon Ganapati, one of the Ashtavinayakas, everyone arrived at the ashram post midday. It was indeed a dream come true for Deepali to see Mohanji entering the ashram, entering his home, and making it his abode. Our own Nilkanth, Muthu, Anurag, Suresh and team had made the place well to receive Mohanji. You will see in some of these pics, how much they did in such a short span of time. Their dedication is unparalleled. They worked hard, day and night without complaints and sleep. What could be said about them? They are true soldiers of our rich tradition and they understand Mohanji as to who he is! Mohanji in his home at Datta Tapovan. Mohanji says, “Ashram belongs to the Lord Dattatreya, I am just a caretaker”.